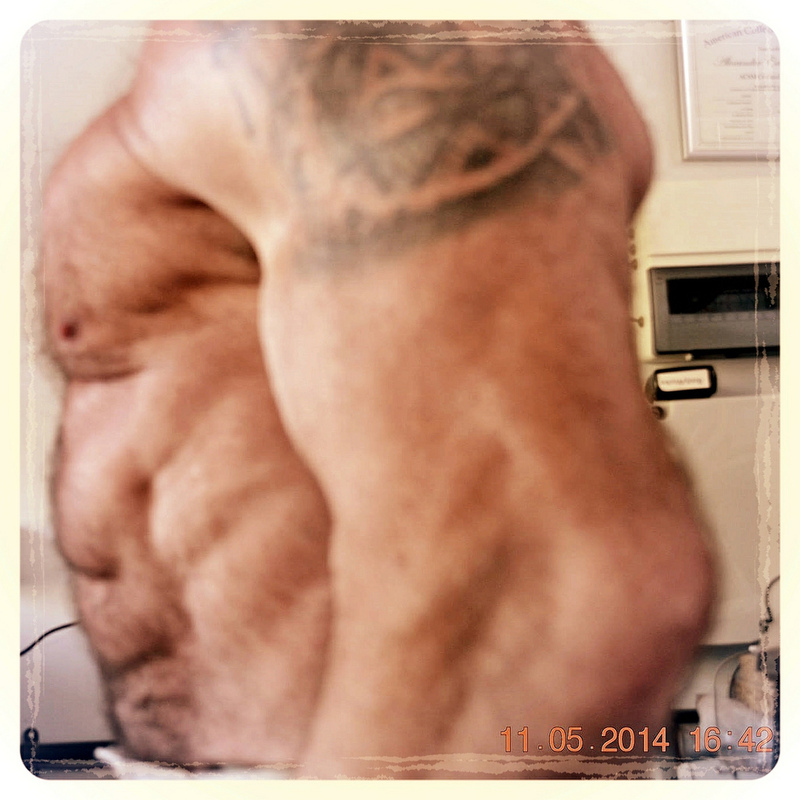 9 Weeks To The Beach Update - BodyWorks: Just Get Fit. Posted on May 11, 2014 by BodyWorks Since 1994. Just Get Fit! Summary: Finishing up Week 5, Phase 4, 2nd Low-Carb Cycle. Body Fat % still dropping nicely. Weight a little lighter than I would like, but stable. Strength Levels OK and Energy Levels Good. Total Drop In Body Fat: 5.6 % (equiv. 5.3kg pure fat). Total Drop in Body Weight: 4.4 kg (equiv. 0.9kg muscle gain). So, considering that my main goal here was fat loss, the addition of almost a kilo of muscle is a pleasant surprise. Starting to shape up and looking forward to working on that California Tan. Current training consists of 50-60 minutes of Cardio 4-5 X/Week and Split Routine of 1 body part daily. I never mix CV work with Resistance Training in the same session, if I can’t do these activities on separate days, I try to work in as many hours as possible in between these two forms of training. Very excited about introducing and applying the concepts from these experienced-based results to the Lean Degree Course curriculum and using them to help the students achieve their goals. Left profile shot, making progress. The goal is to go sub 10% BF and be above 90kg body weight. Something tells me that squeezing out that last 1% is going to be murder.